I was lurking in the Amazon forums and found someone talking about The Parrot Talks in Chocolate and how they had borrowed it from LENDLE.ME. Initially, I was a bit put off. Here was some clearinghouse taking advantage of the "Allow lending of this book" feature in the Kindle self publishing dashboard. 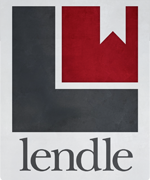 Lendle is a clever way for people to list what Kindle books they own, put them up for "Loan" and in return might find a book available they would like to read from some other member. It's like a big fat library. Does that hurt sales? At first I thought it might and wanted to get out of the lending program. After all, when my books are priced at 99c, 1.99 and 2.99 AND Amazon already hands out a free 10% sample why would anyone short of a cheapskate need to wait in line to borrow a book IF and WHEN it becomes available? Well, that was my first thought. After a deep breath, maybe two or three of them, I had another thought. I would JOIN Lendle and OFFER ONLY my OWN books for loan there. I often give away copies to promote my brand, so how could this be any different? In fact, Authors should all join Lendle and offer up their own books. Another great venue to get the word(s) out. Of course, beyond my own books, I am not loaning any others.